High-altitude pseudo-satellites currently require large crews of highly trained personnel. 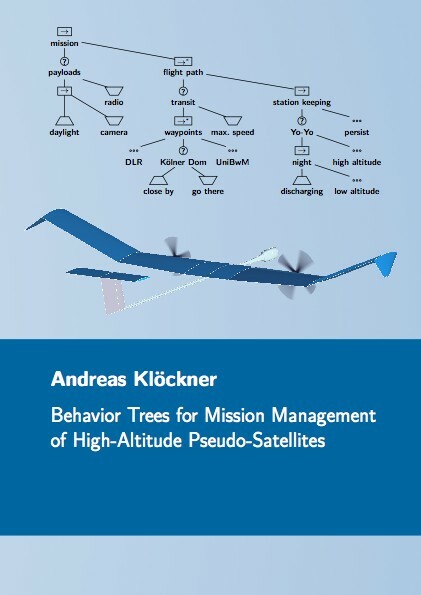 In order for these platforms to become commercially viable, it is imperative that mission-level tasks are automated in a mission management system, while maintaining flight safety. The new method of behavior trees is investigated for this purpose and extended with proper initialization, continuous-time processing, and modular stateful tasks. The approach is implemented in the Modelica environment and evaluated in a complex mission simulation.